Neutrik Feed through Black receptacle in D-sized metal flange with the secure latching system. Includes 2 mounting screws. Is this a box of 50? Or is it 8.77 for a single item? Penn Elcom Online Replies: This is for a single unit not a box. 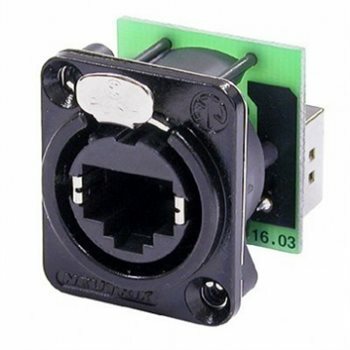 is it possible to get a female connector on the opposite side?